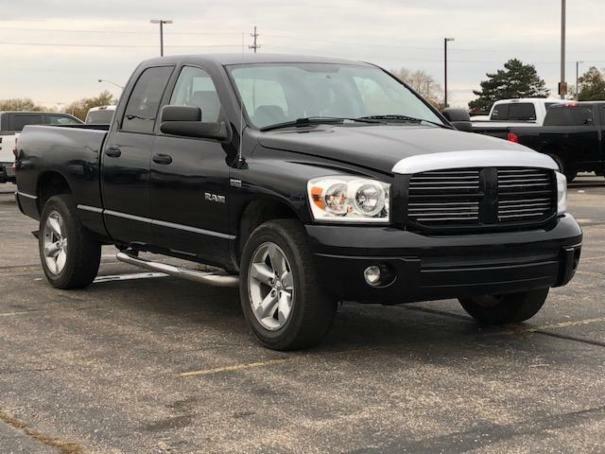 Dodge Ram 1500 Sport 4WD 5.7L V8 Hemi Quad Cab. Black / Gray Cloth. 20" Sport Chrome Clad wheels. 2-Speed Transfer Case. Powered Driver Seat. Running Boards. Factory Engine Remote Starter. Keyless Entry. Alarm.